Oil pulling or oil swishing (an ancient Ayurveda remedy) is the process of putting oil in the mouth (usually sesame or organic coconut oil) and then swishing it around for 15 – 20 minutes. As you are swishing the oil in your mouth, the toxins from your body accumulate in the oil and saliva in your mouth, so you cannot swallow any of it. Once you have reached your desired swishing time you than spit out the oil along with any toxins. This process is repeated on a daily basis with the theory that it helps improve oral and overall health based on the Lauric Acid in the oil drawing all of the toxins out. Is Oil Pulling For You? Is oil pulling something you want to get involved in simply because it is considered “all-natural” and is the latest fad in holistic health? We’re going to look at some of the cons of oil pulling when it comes to using this type of treatment. Does Oil Pulling Have Any Benefits? There is very little scientific testing done on oil pulling. If you swish mouthwash or even water around in your mouth for that long, you’re going to shake some bacteria loose, and that’s always good for your teeth and gums. It might help your breath too. That’s about where the benefits end. First and foremost, the biggest con with oil pulling is that some people think this is a substitute for good oral care. 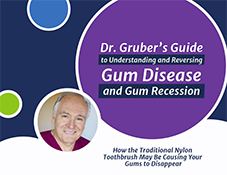 You can’t stop brushing twice a day, flossing, or using mouthwash just because you oil pull. Oil pulling was probably the best dental care available in India when they first came up with the idea. The second big oil pulling con is that this is a long and inconvenient process for minor and unproven benefits. You have to swish oil around in your mouth for 15+ minutes. You can’t swallow during that time as it is said that the swishing process makes the oil in your mouth “toxic”. You have to swish vigorously, which can also be a big be a strain on the jaw, tongue and mouth in general. Also many people who try this don’t like the taste of oil enough to have only that flavor in the mouth for so long. Another thing people try oil pulling for is teeth whitening. There are claims that oil pulling may be one of the better and more natural ways to whiten teeth, but again, there’s no scientific data to back up those claims, and there are much better ways that have been developed to whiten teeth and do so much more quickly. While there are obviously many cons to oil pulling, if you still decide to give it a try, remember these things. Don’t stop brushing, flossing, and using mouthwash. Be careful not to use highly processed oils that may have chemicals in them. Never swallow the oil. You could get sick to your stomach. 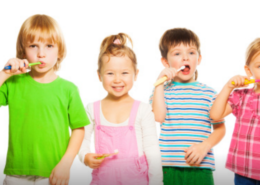 A safer bet is to stick to scientifically proven methods of oral care. 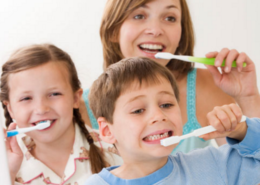 Today, we have the toothbrush (and now the Periclean ultra-soft toothbrush which is effective at plaque removal and gentle on gums), as well as other superior means of keeping teeth clean and healthy. Aside from using a Periclean toothbrush, one of the best things you can do to improve your oral hygiene is to use mouthwash or rinse. In choosing a mouthwash or rinse that’s right for you, there are some things you should consider in order to find the brand that best suits your needs. Alcohol is a primary ingredient in many mouthwashes, and it has advantages and disadvantages. A benefit of alcohol in mouthwash is the fact that it improves its taste while also helping to kill germs. Even so, recovering alcoholics are advised not to use a mouthwash containing alcohol, because doing so can encourage them to have a relapse. Products with alcohol are also not recommended for use by children. If you have sensitive teeth, choosing a mouthwash or rinse that’s right for you could involve a natural product that contains chamomile and aloe vera. These two ingredients are soothing to the gums, and do not provide the stinging effect that’s usually noticeable with mouth rinses. This makes them an ideal choice for children to use as well. 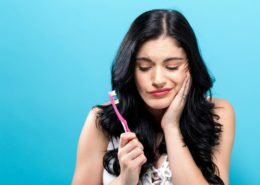 Plaque control is a benefit provided by many mouth rinses, so if you have difficulty keeping your teeth clean, you may want to choose a brand that helps with this. This type of mouth rinse is usually used just before brushing to help loosen plaque and tartar on the teeth, and may not freshen your breath as well as other mouthwashes do. This means you could need to follow up with an additional product. If you’ve been diagnosed with periodontal disease, you may have already experienced some bone loss. To prevent even more bone loss from occurring, consider using a mouthwash that also contains calcium. This will help strengthen the bones your teeth are anchored to as well as the teeth themselves; however, it will likely not repair any bone loss that has already occurred. Although many dental rinses contain fluoride, this actually provides little benefit for most people. Since fluoride is already present in tap water and most toothpastes, chances are that you are getting enough of it without having to use a mouthwash that contains this ingredient. When choosing a mouthwash or rinse that’s right for you, check the label to see if the product is approved by the American Dental Association (ADA). This certification means that this group has evaluated that product to ensure that it provides the benefits it claims to offer. Your dentist or hygienist can recommend oral hygiene products that bear this seal of approval, as well as give you additional guidance on choosing the best mouth wash for your dental care needs.